Today the children have been learning all about themselves and where they live. 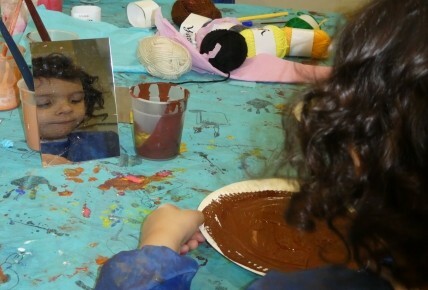 In pre school the children have had mirrors looking closely at themselves and creating self portraits from using a range of different materials. 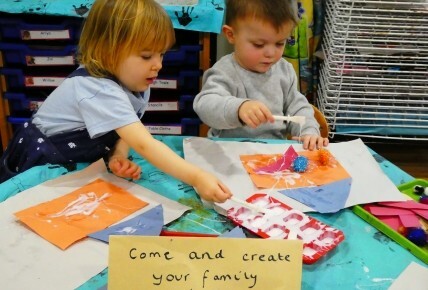 In Roses our toddler room have been talking to the children about their homes and where they live. 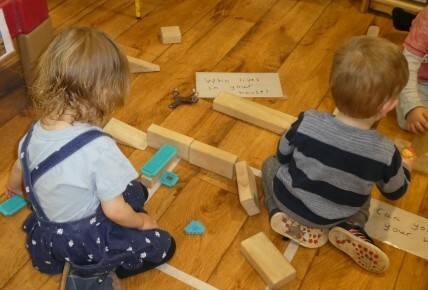 They have been building houses using wooden blocks and they have been mark making using paints, different shapes and textures with glue to make a house. In Snowdrops room the staff have been asking parents to email photos of their family to us at nursery so we can print off the photos and make family books for the children so they can look through these throughout the day.